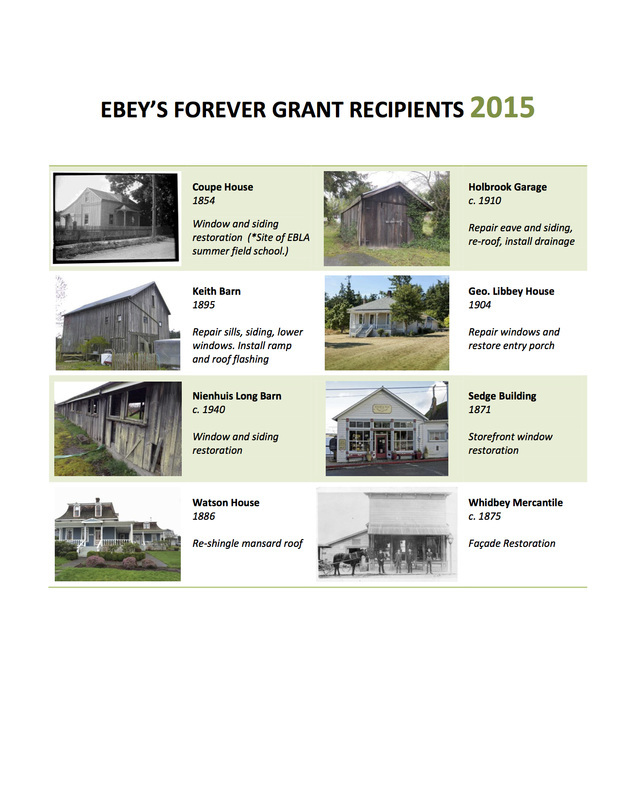 Ebey's Forever Grant Program annually. ​ “unbroken record" the Reserve was created to protect. 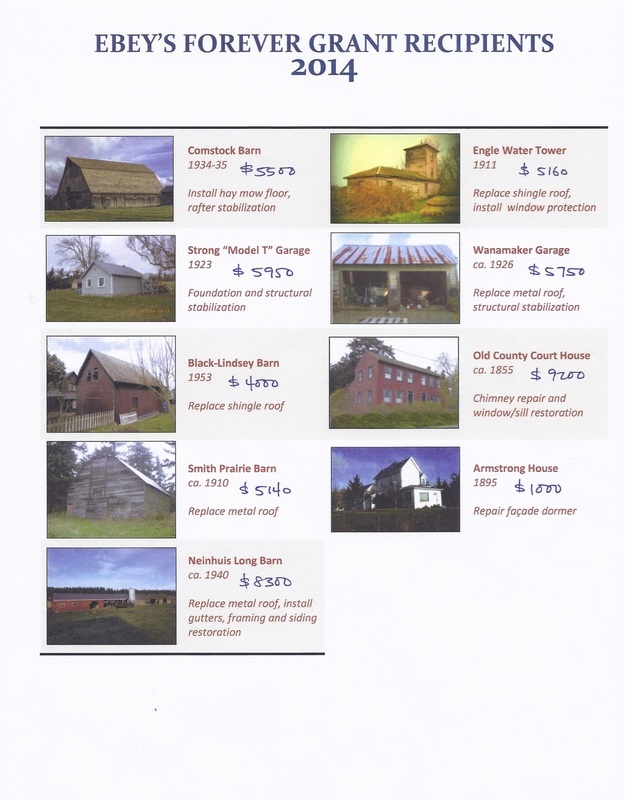 More than 40 barns, outbuildings and farmhouses that date back to the 1850s have disappeared in the last four decades. remains an integral element of the evolving landscape. 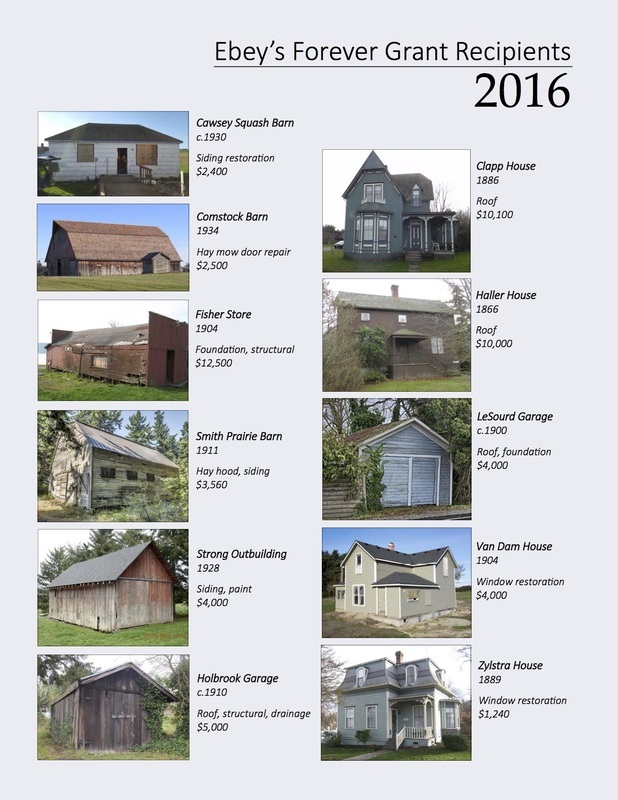 To date, over sixty historic structures have received often critical funding for brick-and-mortar preservation work through this program. 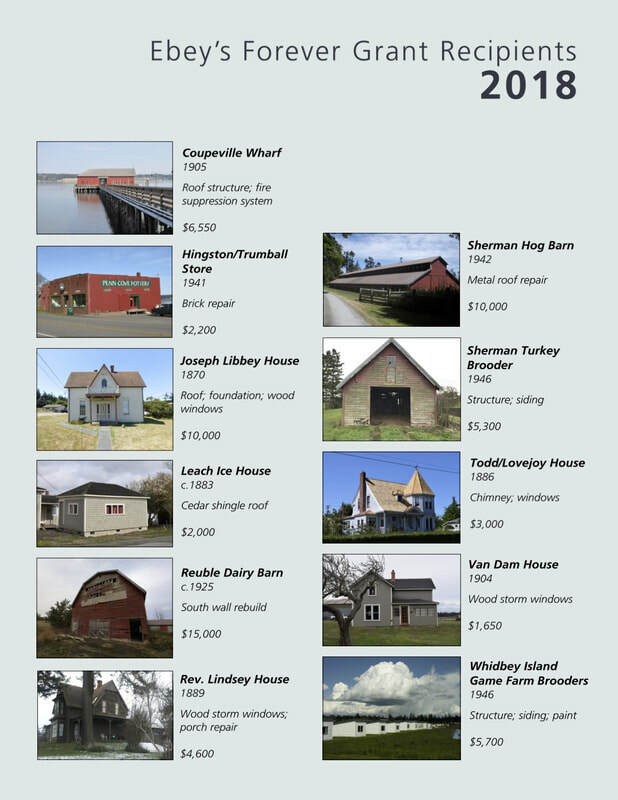 As a result, more than one million dollars has been invested directly into the continued life of these irreplaceable buildings. Not only is this money circulated back into the local economy, but all the grant funding for the work is raised through private donation - one neighbor to another. 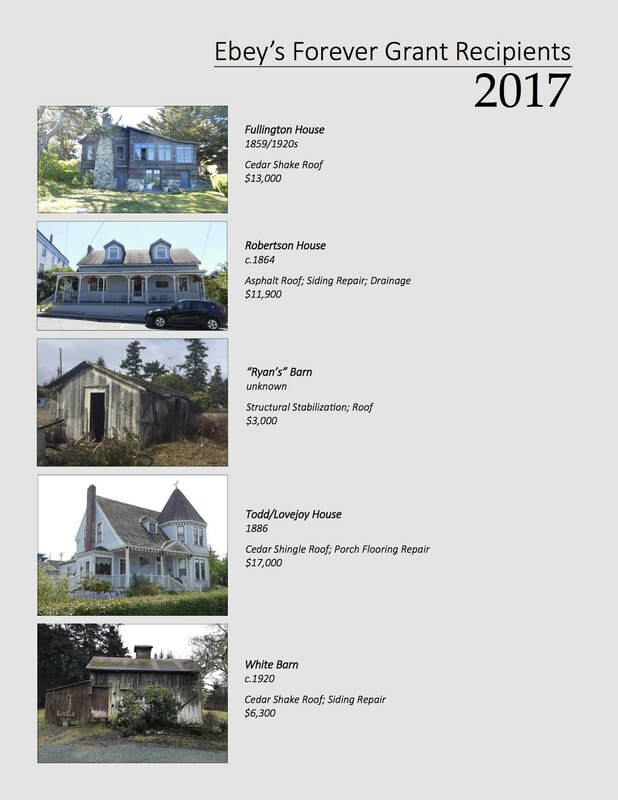 ​Overall, the Ebey’s Forever Grant Program serves as an inspiring example of how a vibrant community can keep its history alive through community-driven heritage preservation. Thank you for your stewardship. the Trust Board office at carol_castellano@partner.nps.gov or (360) 678-6084.